Here is a more complete, more comprehensive, better detailed definition of love for those who want something more specific than the brief, basic, working definition previously provided. This more ample definition includes all the components of the shorter definition but augments it by integrating the functional aspects of love. It also gives you more to work with for developing a really good understanding of healthy real love. Healthy real love is a powerful, vital, natural process of highly valuing, desiring for, often acting for, and taking pleasure in the well being of the loved. Love is further defined as that natural process which functions to (1.) personally and profoundly connect us (with others and internally), (2.) provide effective, balanced safeguarding of the loved, (3.) endeavor for the development and improvement of the loved in multiple, healthful ways, (4.) bring about healing and maximize recovery from sickness and injury of the loved, (5.) reward and reinforce us for behaving from and with love via the many joys of love. This more ample, working definition of healthy real love assists us to have a dynamic understanding of love and what can be seen as love’s purpose. This more ample definition also is useful for comparison with false forms of love which tend not to produce one, or more, of the five functions of love mentioned. Furthermore, this more ample definition may be more satisfying to those desiring a fuller, more delineated, functional and practical definition of healthy real love. This definition is aimed at assisting thoughtful people to have a broad, practical understanding of healthy real love in a way that might be pragmatically applicable in both extremes and in everyday life. It is designed to help people think about love in more exact terms, reduce the usual confusion about love’s meaning, and to a degree demythologize love while at the same time illuminating love’s magnificence, and emphasizing its incredible importance. I use the term ‘working definition’ to show that this definition is open to future research revelations and enhancements. Thus, this definition is seen as something you can work with to both understand and actualize love’s marvelously widespread potential for bringing about improvements in almost all life conditions. Some readers might want to add special factors carrying this definition even further. Behaviorists could add an operational type definition involving the actions associated with healthy real love. Certain religionists might want to add a spiritual dimension. Those in the biological and brain sciences could amplify this definition with physiological understandings. Romantics might want to emphasize and delineate artistic and the feeling aspects of love more thoroughly. 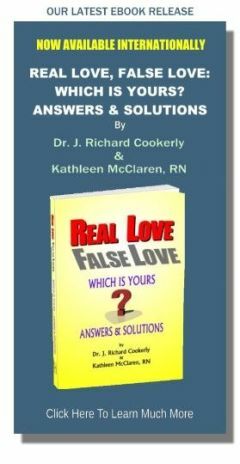 Nevertheless, this more ample working definition is seen as offering a short, simple, yet fairly comprehensive way to understand the nature and dynamics of healthy real love. For those wishing to have a good cognitive understanding of love it is suggested that each aspect of this definition be carefully studied and contemplated. It is further suggested that each aspect of this definition be considered and compared with your own personal, emotional and behavioral experiences related to love. It also might be a good thing to factor in an understanding of how your culture and your upbringing may direct your thinking, feeling and behaving about love. Alas, understanding love cognitively is still no easy matter, even with a good definition. However, hopefully with this working definition it is a lot clearer and easier. Also hopefully this definition can help you put more love in your life and into the lives of those you care about. Always – Grow in love.